Jim Collins coined the Hedgehog Concept when he described the difference between Good and Great companies. 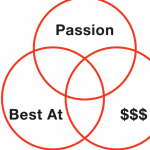 The intersection of a companies competitive advantage, passion and economic opportunities. Later Collins applied the hedgehog principle to individuals. Collins noted that great companies were more hedgehog; focused on doing one thing than they were fox; chasing everything that moves. Times have changed and as impactful as Collins work is I agree with Umair Haque that TODAY leaders greatest challenge is not becoming ‘great” or at least greatness as we once knew it, but rather becoming ‘good.’ Goodness is the new great. And being focused, is important but it’s not enough. Today companies and individuals must be dynamically, explosively innovative. They must learn to harmonize the ability to manifest one big idea within an eco-system that reinforces innovation; a random process of discovery. Good Business first, does no harm and secondly commits to solving social and or environmental challenges in a financial sustainable manner. Good business has a positive impact on profits, people and planet. These days people are getting certified as B corporations, using the new L3C structure; but Good Business is not merely a new corporate legal structure or change in by laws, it is a paradigm shift, a radical new way of re-purposing lives and business for real impact and results. Good Business says, ‘heh people in 3rd world countries don’t have shoes- lets create a sustainable solution’ ala…TOMS shoes. Good lives, Good businesses. They harmonize passion with profit. Purpose and Meaning with financial sustainability. 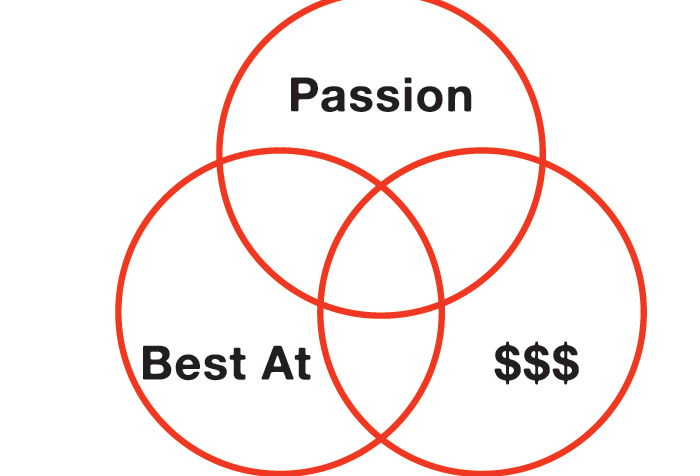 The sweet spot is the place where passion, abilities and talents align with opportunities to solve; economic, social and environmental problems. What are the things that excite you, that when you do you’re enthused, full of spirit and in sync? What are those things you get lost in when you do them? What are the experiences in which time flies for you? Where does your curiosity and interest intersect? What can you NOT, not explore, engage, pursue? These are talents, abilities, expertise and know how that you excel at. These are activities that feel irreconcilably like you. It’s your zone, your truest self, the things that allow you to show up the best you – possible. Yes, you. Best at; now is about you- not a comparison against others or the market. This is all about what is the best representation of you; values , abilities, nature and nurture. For a company, business or venture, best at, is the pursuits that closely align with the organizations talent, expertise, culture and perspective. These are the problems and opportunities that exist in the world that need the solutions your passion and talents offer. This is where we look outward. This is the difference between ole school greatness and new world GOODNESS. Here we go from me to we, from I to us. Here we find opportunities that demand us to live and venture as solutionarist. Opportunities to create value; socially, environmentally and financially. This is where the world is hungriest, starved and we are uniquely suited to solve. Sustainable solutions are created in the form of economic engines and revenue streams. 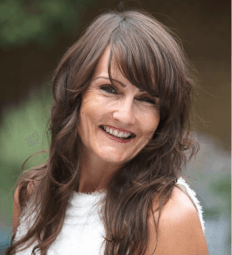 The sweet spot – it’s the visual representation of the opportunities that await us individually and collectively as we push into this new paradigm of doing GOOD with our lives and resources. It’s a place where passion meets profit. It’s a place where purpose and meaning are sustainable. You no longer have to starve solving the worlds biggest problems. You were created uniquely and wonderfully- now push into your sweet spot, align your deep gladness with the worlds great need and ask what challenges, opportunities might I solve?